Our team of heating engineers and plumbers throughout Edinburgh and West Lothian take care of a wide range of plumbing solutions, including bathroom installations and drainage as well as looking after boilers and central heating systems, including installations, servicing and repairs. 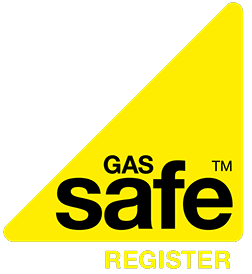 Hometech are an experienced team of Gas Safe registered heating engineers and plumbers in Edinburgh and West Lothian with the skills to expertly carry out a range of services for customers throughout Scotland's central belt. Our plumbers in Edinburgh and West Lothian take care of a wide range of plumbing solutions, including bathroom installations and drainage as well as looking after boilers and central heating systems, including installations, servicing and repairs. We are also specialists in a range of renewable energy solutions for anyone who wants to invest in making their home less reliant on outside sources of heating and become more self-sustainable. Our range includes bio-mass, thermodynamics and heat pumps, each of which can be installed in a whole range of homes to make you savings in the long-run. Our quotes are based on honest assessments. We will never charge you for something you don't need. We price our work competitively whilst reflecting the quality we are committed to on every job. Turning up on time and working to agreed plans and work schedule is a requirement for us. We work hard to ensure that you are 100% happy with all of the work we have carried out. Our comprehensive all-trades service includes plumbing, tiling, joinery and all electrical work, simplifying the entire bathroom renovation process for you. Hometech's plumbers in Edinburgh provide a quick response drainage repair service to ensure your drain problems are resolved without delay. Our plumbers and heating engineers react quickly to get out to you and resolve the issues before things have a chance to escalate. Our first discussion can take place over the phone or via e-mail to talk through your requirements and give you a fuller idea of what our service includes. We can also arrange to come to meet you in person and have a look at the area the work will be carried out in. Depending on the service we are providing out we will carry out various types of preparatory work, this can range from a kitchen or bathroom renovation design to specifications for a new heating system. For breakdowns and repairs the process will be much quicker. For breakdowns and repairs we will get to work as quickly as is suitable for you. For other pre-planned work we will put in place a timetable of work that is most convenient. All work is carried out by fully qualified plumbers in Edinburgh and gas safe registered heating engineers to ensure work of the highest quality. Throughout the work process, whether it is a simple repair or a complete renovation, we will keep you informed of what is being done and when and give you a clear estimate of the time of completion. Our team of plumbers and heating engineers are happy to answer your questions at any time for your peace of mind. Upon completion of work we will carry out a complete clean-up of the work area and ensure you are completely satisfied with the work we have carried out, we won't leave until we are sure you are 100% satisfied. We have built our business on a backbone of customer recommendations and word-of-mouth, our aim is to ensure you receive a level of service and workmanship that will leave you only to happy to sing our praises. Property renovation and maintenance services from an experienced team. Home extensions and loft or garage conversions by an all trades team. Laying foundations and attending to internal and external structures for any size of building project. From damp proofing treatments and external stonework to simple joinery services. I contacted Hometech after a recommendation from a neighbour. Friendly and professional consultation with good advice and excellent service. Had my new boiler and heating controls fitted quickly and at a very reasonable price compared to the other quotes I received. fantastic job helping us with our burst pipe. We came home from work to water pouring through our kitchen ceiling which was quickly rectified without any further disruption to our property. Would definitely recommend this company they totally saved the day and were quick efficient and friendly. Great service. Recently had a bathroom fitted. Can't fault anything and would definitely recommend!